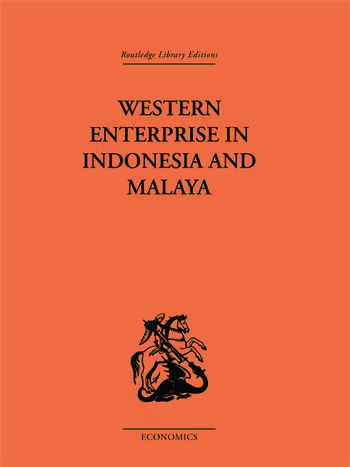 Describing and analyzing the part played by Western firms and governments in the economic development of Indonesia and Malaysia, the period covered by this survey extends from the early decades of the nineteenth century to the 1950s. Special attention is given to the changes that have taken place since the Second World War. The intricate economic relations between Westerners and Asians, and the results of changes in those relations are fully discussed. Comparisons and contrasts with the economic activities of Westerners in the development of China and Japan are also examined.